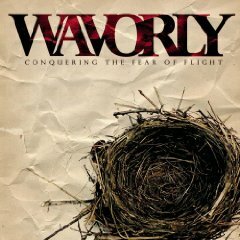 After a few years of growth and evolution, some line-up changes and a couple hundred shows later, Wavorly bursts onto the national scene with their Flicker Records debut, Conquering The Fear of Flight (2007) produced by the Grammy-nominated talent Rob Graves. The album contains the number one Christian Rock singles "Madmen" and "Part One," CHR radio monster "Praise and Adore (Some Live Without It)" and top ten singles "Forgive and Forget" and "Stay With Me." Intricately arranged and immediately accessible strings and classical piano establish a darkly elegant waltz as the introduction to the album, before devolving into a pounding wall of guitars and drums. Dave Stovall’s powerful vocals ride across the top of the churning, but consistently tuneful brew as he delivers lyrical images heavily colored by author and teacher C.S. Lewis. In fact, Lewis’ classic novel The Great Divorce, served as an influence on several of the disc’s songs, while his sense of imagination and heart deeply shaped the melodic and stylistic inspiration behind the band in general. 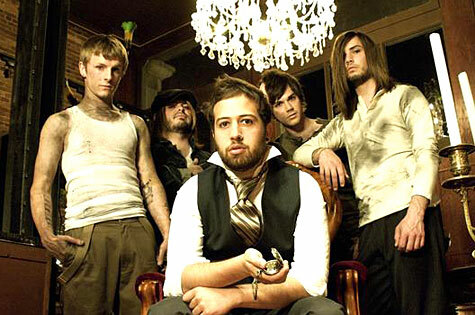 Wavorly has toured nationally with acts such as Disciple, Pillar, High Flight Society, as well as many others. Wavorly is a band whose heart is buried deep into the belief that music can have a positive and life-changing effect on people’s lives in ways that really matter.